How Often Should I Sharpen my OTF Knife? How often will depend on how much you are cutting with your knife and what kinds of things are you cutting with your knife. We recommend that you give your blade a light sharpening once a week if you give your nice continually use. This will keep it working at its highest cutting capacity. Remember a dull knife is a dangerous knife. 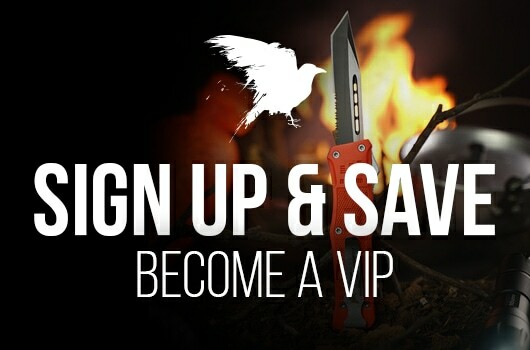 Will RavenCrest Sharpen My Serrated Knives? 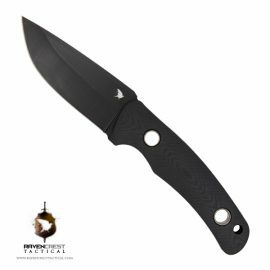 Consistent use will wear down a knives edge. This is normal and is not considered to be a defect. The fact is a knife will require sharpening if it is used repeatedly over time. A serrated blade can cut through many rugged materials easily while a straight edge might have a tougher time. A serrated edge will outlast a straight edge usually 10 to 1. A serrated edge is however a lot more difficult to sharpen. It takes hand sharpening with the right sharpening tools. Each groove has to be worked one by one. 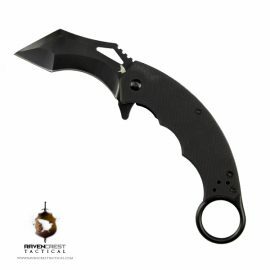 RavenCrest Tactical® will resharpen all RCT knives free of cost (Click here to send your knife in for sharpening). If you are not able to send in your knife many local knife shops can help you with sharpening as well. How Often Should I Clean My OTF Knife? Cleaning the blade after use is important to keeping your OTF functioning properly. Lightly rinse the blade with tap water and remove any residue that may be on it from your cutting job. Thoroughly dry the knife blade making sure no water is left. Once clean. Deploy and redeploy your blade. You can also apply a very light amount of gun oil to the blade making sure to polish it into. Do not put gun oil or any other liquid directly into the handle of your RCT OTF Knife. We also recommend using a damp towel to clean the handle on your RCT Knife. How Do I Tighten The Screws On My RCT OTF Knife Handle? RavenCrest Tactical® recommends using the appropriate allen wrench to tighten any loose screws. Please use caution when doing so to not strip any screws in the process.